Napoleon allegedly said that England was a nation of shopkeepers, and more than 200 years on, it is still true that thousands of people across the UK dream of running their own businesses. Get inspired by our low cost business ideas and take the first step to becoming an entrepreneur. 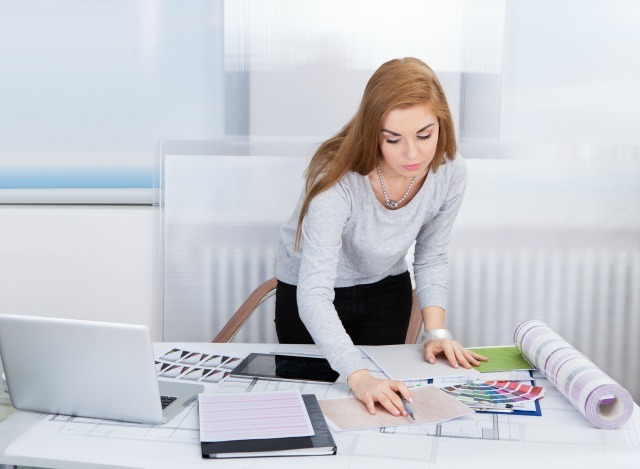 One of the things which puts many women off taking the leap into self-employment, however, is the perceived start-up costs for a new company. It is certainly a big financial risk to give up the stability of a salaried job, and the hurdle is still higher if you need to have a lot of money to invest. But not having a lot of savings in the bank doesn’t necessarily have to stop you following your dream. 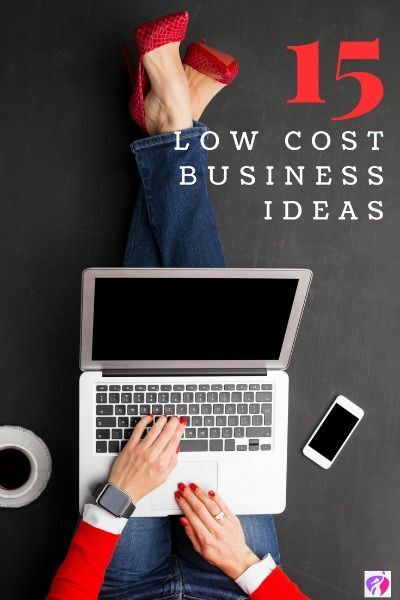 There are plenty of low cost business ideas women can pursue, and we have listed 15 of favourites business ideas with low investment . If you own your own home, consider renting out any spare rooms on Airbnb. Depending on the location and type of property you have, it is possible to generate a significant revenue stream through short-term letting. If you have any spare cash, spruce up the decor and get some professional photos taken to help promote your pad. This is a very flexible low cost business idea, and one you can do alongside your regular work to build up some capital. Plus, you get to meet interesting people from all over the world! Do you have a head for numbers? Book-keeping is a great service which is always in demand. There are plenty of small businesses and sole traders in your local community who will need your help. You can train online and once you know what you’re doing, you can get certified with AAT for just £40. 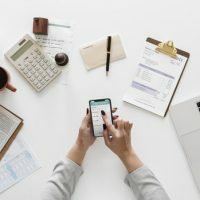 Having a recognised professional qualification will boost your reputation, and means you can charge more for your time. The great thing about book-keeping is that you can work from home so long as you have a laptop and an internet connection. It’s also a business idea you can grow rapidly through word-of-mouth. Complete an online food safety course and get your food hygiene certificate: it’s just £15 + VAT from the Chartered Institute of Environmental Health. You can then legally set up in business as a caterer, which is a fantastic low cost business idea because it’s flexible and your services will always be in demand. You can use your own kitchen and utensils, and as clients will pay upfront, you’ll have the cash already available to pay for ingredients, waiting staff, crockery hire, and anything else that you need. Cater for weddings, birthday parties, and events in your local area, and you’ll keep your transport costs low, too. If you want a practical business which is flexible, a decorating company is an excellent choice. Women-only decorating companies are popular as clients are often more comfortable letting women into their home to work, and women are also perceived as being tidier workers! You can scale your business by employing other women to work for you and also incorporate other services, such as interior design. Indulge your love of pets by starting a dog walking company. This is one of the easiest low cost business ideas because don’t need any start-up capital at all. You can promote your services through word of mouth, a card in the newsagent’s window and through social media. You would provide much-needed assistance to dog owners who are time poor. If you live in an urban area, you can scale this business quickly, as when demand increases you can take on additional dog walkers to do the actual walking for you. Many of us dream of turning our hobbies into a business, and letting our creative juices flow. With a strong imagination, an idea of what’s hot, and a few basic materials — which can even be recycled, or from a charity shop — you can design and make hats, bags, jewellery, scarves, and more. Use Etsy or Not on the High Street to get inspiration of what is currently selling well and to find your very first customers. Local boutiques and galleries would be great outlets for your products as well. Turn getting fit into a business by marketing yourself as a fitness coach or personal trainer. No formal qualifications are required (though there are some great affordable fitness courses you can take), and you can coach online, as well as in person. You can teach group classes in a village hall, which can be hired for a nominal fee, or make use of the great outdoors and train your clients in the park and on the street. Communication skills are a must for this low cost business idea, and would-be customers will have greater confidence in your abilities as a coach if you are in good physical shape yourself. Gone are the days when you had to have bags of expensive equipment, delicate film, and your own studio to make money as a photographer. With the advent of online stock libraries like Shutterstock and Fotolia, anyone with basic equipment and a good eye for an image can start earning money from their photos, including those shot on a smartphone. If you are fluent in a foreign language, there are multiple low cost business ideas you can explore. Parents will pay upwards of £40 per hour for one-to-one tutoring for students studying for their GCSEs and A-levels, you can offer translation and interpreting services, and you can also coach adults online or in person to improve their language skills. Being a native speaker of the language you are offering will stand you in good stead, as would having a foreign language degree. We all have times where we need guidance in the direction we should take, both personally and professionally. If you want to help others, lifestyle coaching can be one of the most fulfilling low cost business ideas. Think carefully about your niche, be it relationship counselling, careers, assertiveness, or something else, and read widely about the different life coaching techniques out there. The internet has made it possible to sell almost anything to customers anywhere in the world. You can find suppliers and customers at the touch of a button, and as many brands have associate seller programmes, you don’t even need to hold physical stock. Instead, you can market products through your own website — build one for free with WordPress — and make a commission on every sale. This is the perfect low cost business idea for women who want to venture into retail but haven’t got much start-up capital to invest. You can also create your own products and sell them online at Etsy, Amazon, Shopify and Not on the High Street. Shopify makes selling online a breeze or hassle free. Shopping for a living ranks as a dream job for many women. Turn your love of fashion into a low cost business idea by offering your services as a personal stylist and shopper. Clients will pay you by the hour or by the day for consultancy, and you can advise them on the latest trends, as well as the shapes, colours, fabrics, and beauty regimes. Building close relationships with designers and boutique owners will enable you to arrange exclusive viewings and discounts, making you every girl’s best friend. 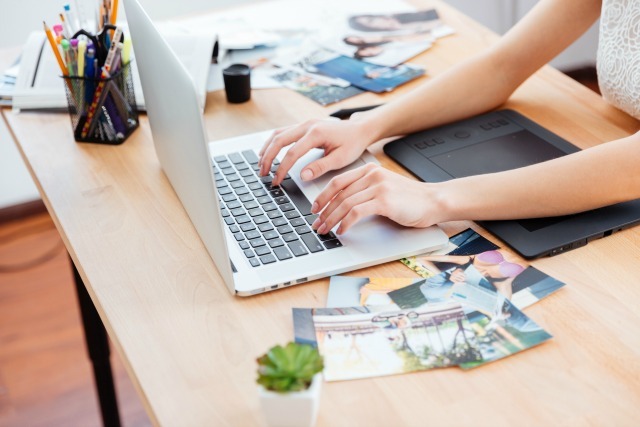 There is a constant demand for good graphic designers, whether it is designing business cards and flyers, wedding invitations, posters, packaging, or greetings cards. 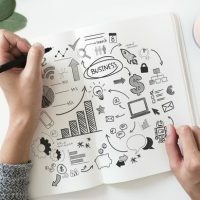 You can work on low cost business ideas like this from home: all you need is a laptop computer and basic graphic design software, much of which is available for free. Freelancer websites like Upwork can help you find jobs, and you can also pitch your services directly to local businesses. You won’t always be able to be creative — much of your work will be typesetting and reformatting files — but as the business grows you can outsource the basic and most boring tasks to the junior members of your team. Working from home as a web developer may not sound glamorous, but it can be one of the most lucrative low cost business ideas. Starting out, you will probably be a one-woman band, but as you grow your company you can outsource much of the work to other developers, and see yourself more as a project manager. Quality control is important, but so too are strong communication skills. 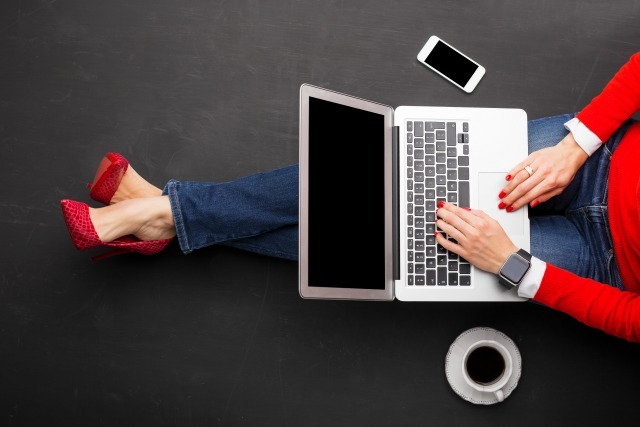 An ability to code is not a must for this business because platforms such as WordPress and SquareSpace are designed with non-technical web developers in mind. There are many ways in which you can turn your way with words into a low-cost business idea. Establishing yourself as a successful blogger is hard work, but opens up various income streams including advertising and sponsorship. Copywriting, proof reading, and editing is less glamorous, but can pay well by the hour and is very flexible. 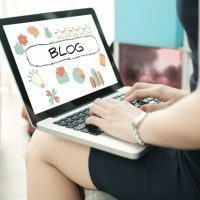 Add to this the possibilities offered to freelance writers by magazines, newspapers, and online sites and there are plenty of low cost business ideas which writers can explore. A shortage of start-up capital doesn’t have to stop you starting your own business and building it into a success. Yes, you will need to think creatively, and yes, it will be a lot of work, but those two things make a truly great entrepreneur. Have you started your own business with little or no money? Or are you thinking about going it alone? Share you experiences with us; we’d love to hear from you.